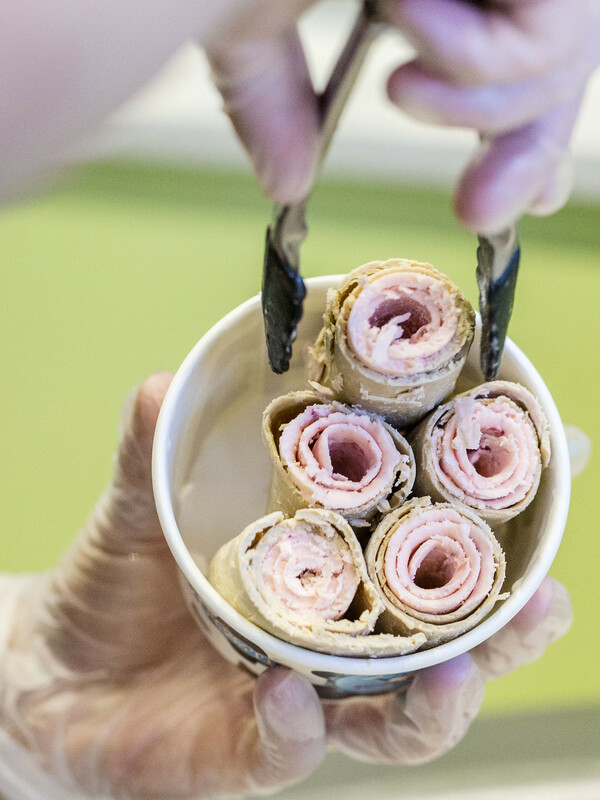 The latest dessert trend to hit Toronto this summer has been Thai rolled ice cream, made with fresh ingredients and cream on a chilled steel surface. 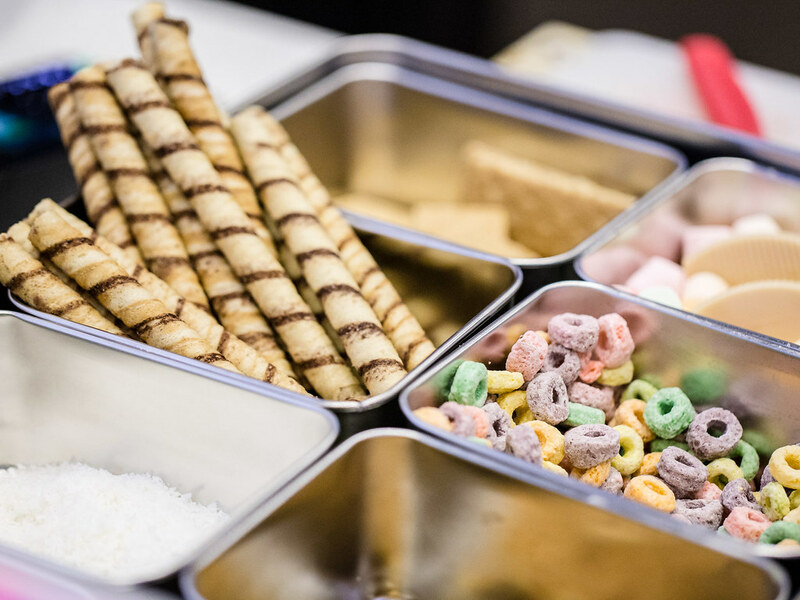 The ingredients like fresh fruit and cookies are “chopped” with two pastry scrapers on the steel pan and provides the flavour for the ice cream. 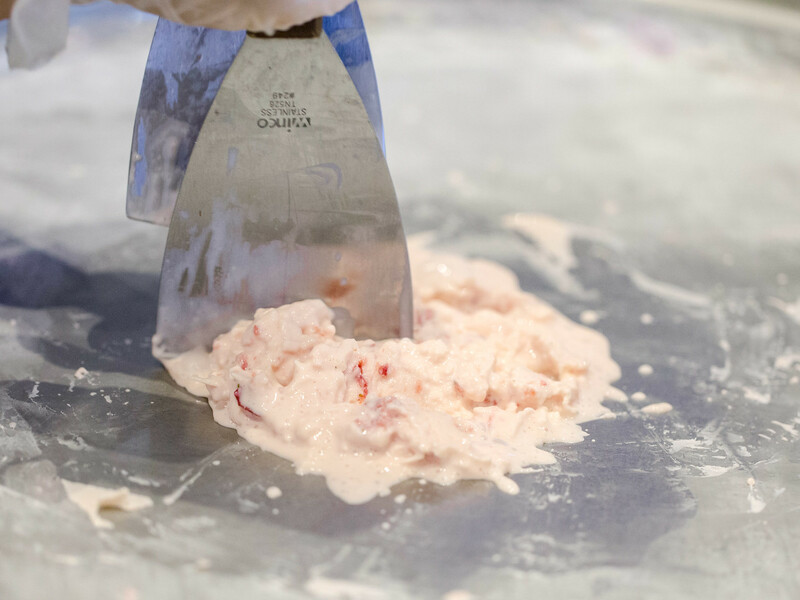 As the cream and ingredients get chopped together, the chilled surface freezes the cream, transforming the mixture into a creamy texture. 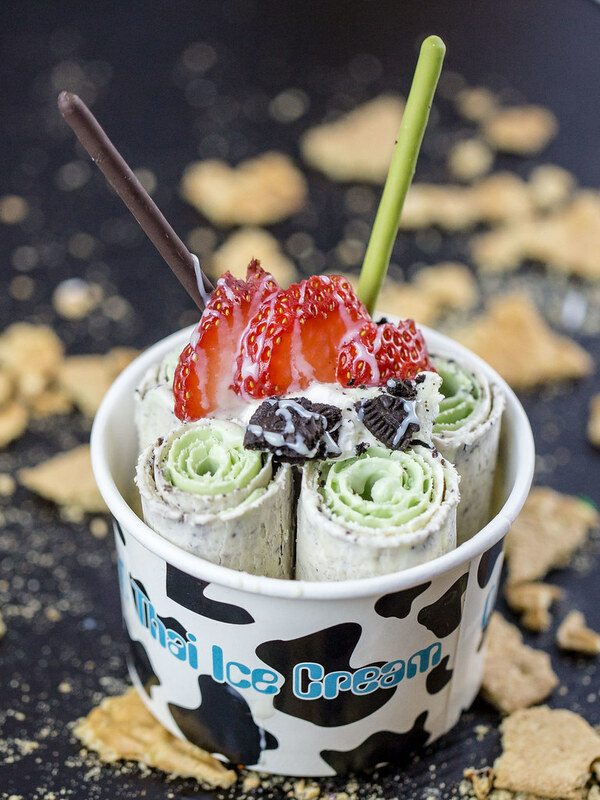 Made popular on the streets of Thailand and on phone screens globally via Instagram, the dessert is now available at many locations throughout the GTA. 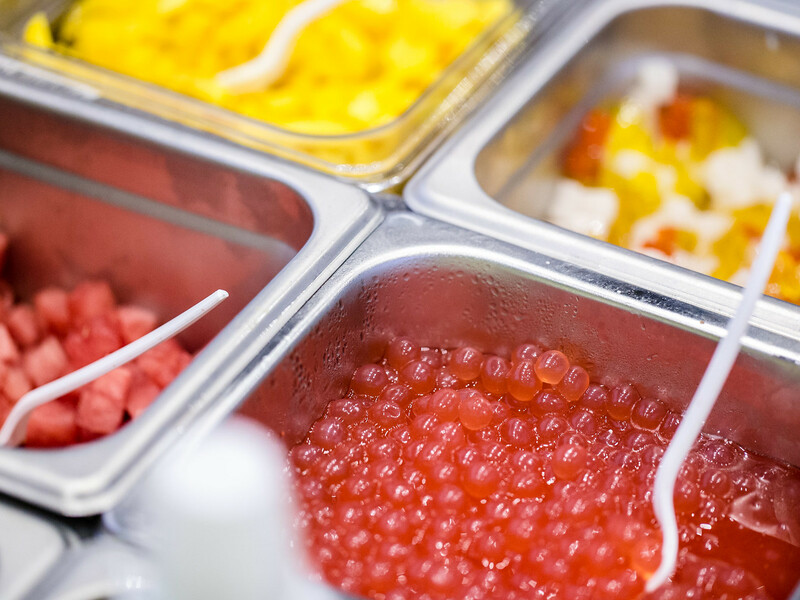 QQ Thai Ice Cream is one shop in Scarborough serving up the new treat. 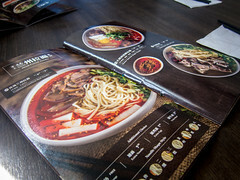 QQ Thai Ice Cream was located in a large strip mall full of restaurants and snack shops in Scarborough, a great spot to stop by after dinner. 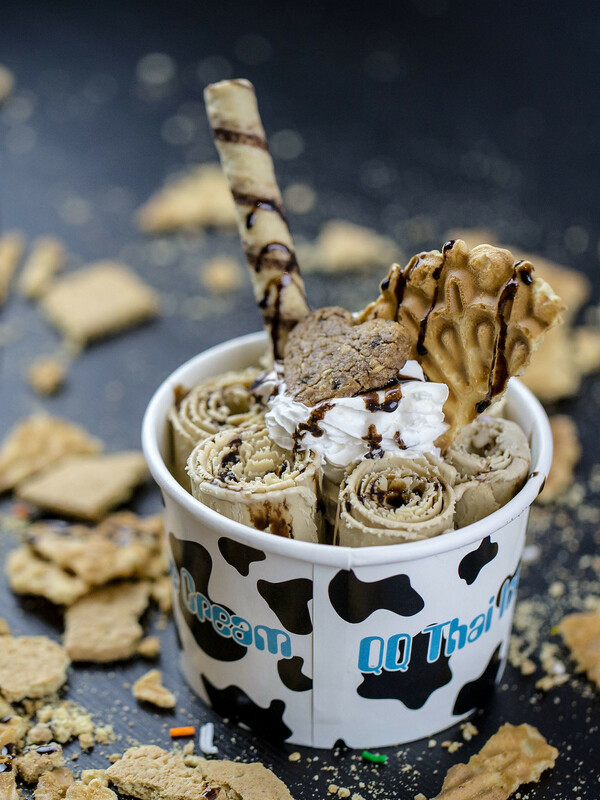 Currently, QQ offers 10 flavours with the ability to combine two into a single ice cream roll. 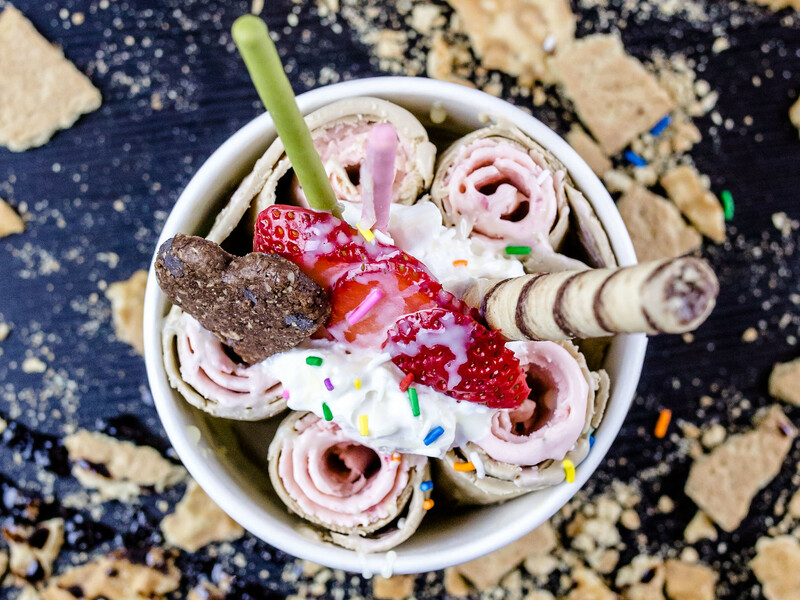 Flavours were created using fresh fruit and made into rolls, packed into a container, and finished with toppings like cookies, whipped cream, pocky and wafer straws. Prices for each cup start at $6.50 (plus tax), with an extra $1.00 charge for a mixed batch. Of their 10 flavours, I had the chance to try Matcha, Strawberry, Nutella, S’more, Taro, Oreo and Morning Latte. 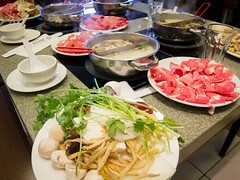 The flavours of the Latte and Matcha were light and creamy, while the fruit based flavours for refreshing and sweet. 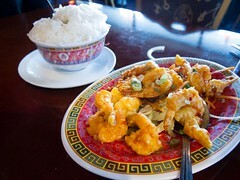 One of my favourite flavours was Taro, which was rich and had a strong, sweet, taro taste. 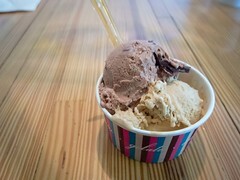 If mixing flavours, I’d recommend Latte and Oreo, Matcha and Oreo or Strawberry and Banana. 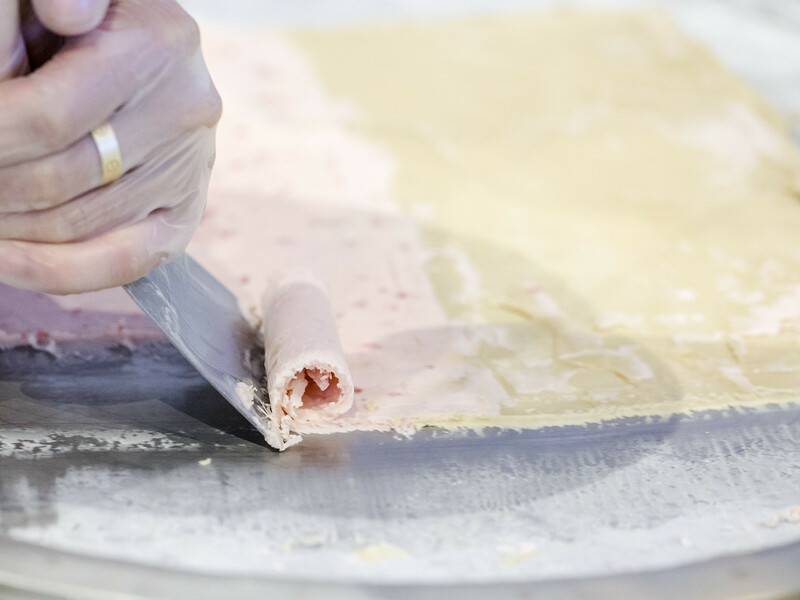 The process of creating each ice cream roll was quite labour intensive, up to 5 minutes of chopping, and involved much more than just scooping. 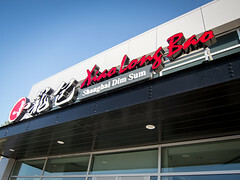 This means there could be a wait for orders to be prepared, especially if there is a line. I think the final product is worth it.